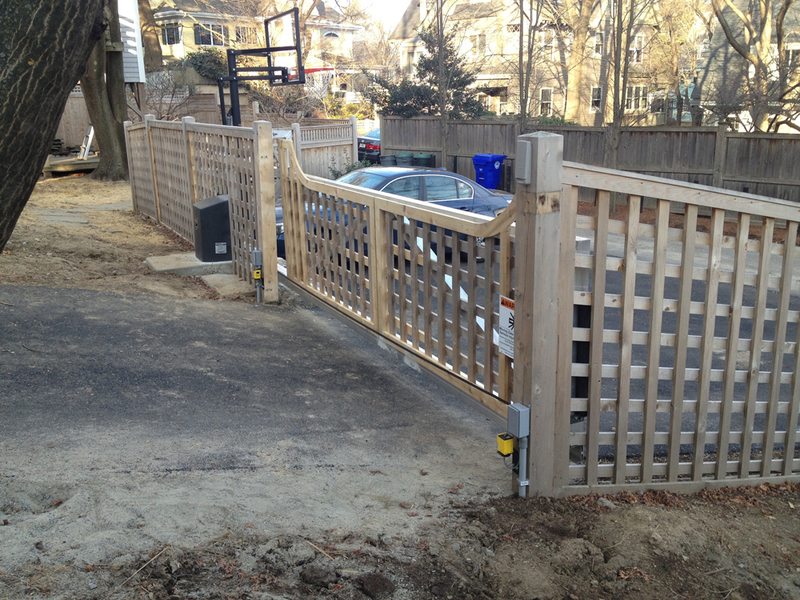 Wooden gate on a driveway with steep slope made it difficult to use traditional sliding gate hardware. 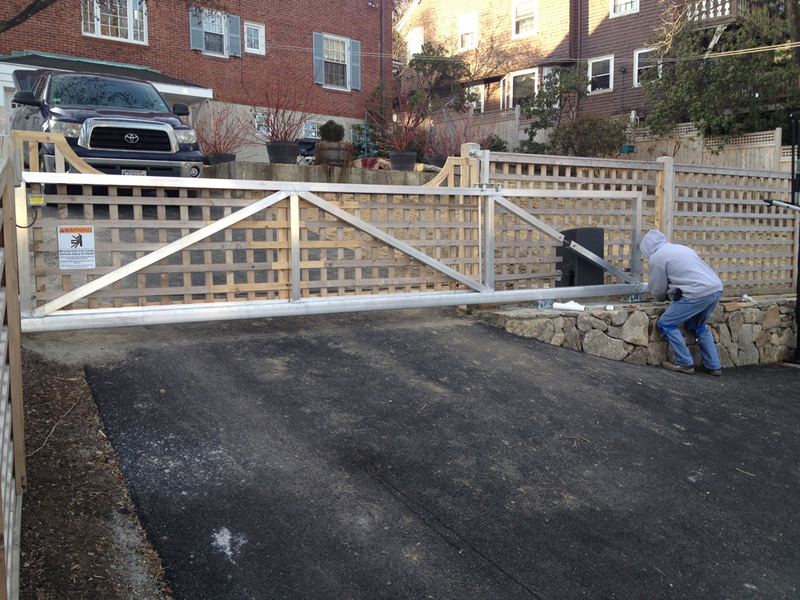 The fabricator built an aluminum frame for the wooden gate that rolls on a bottom track using CGA-350.5P carriages. 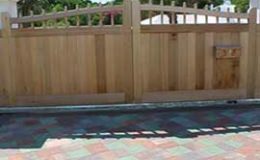 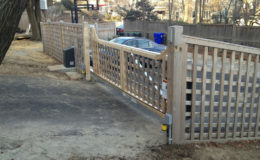 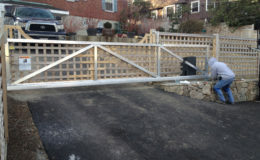 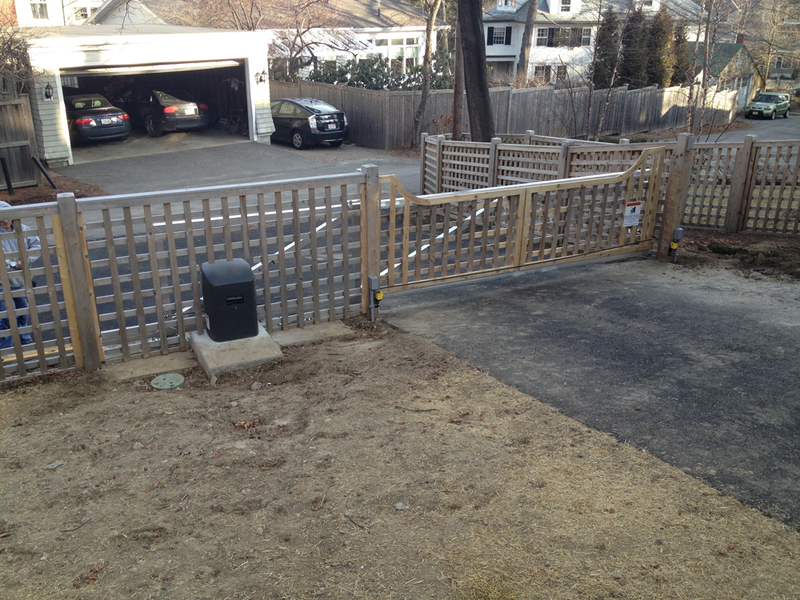 This wooden sliding gate installation was made possible by using DuraGates hardware. 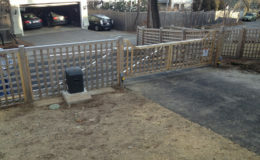 The frame and the bottom track are virtually invisible from the front of the property.